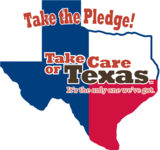 Check out the Take Care of Texas Video Contest for students in the 6th-12th grades. It's a fun way for students to learn about taking care of the environment. The contest sponsor, Waste Management of Texas, Inc., has generously provided some awesome prizes. Participants enrolled in grades 9-12 have the chance to win up to a $2,500 scholarship. Those in the 6th-8th grades can win GoPro cameras and accessories. The contest closes Dec. 16 at 4:00 p.m. Visit TakeCareOfTexas.org/video-contest to find resources to help students create awesome videos and learn more about the contest requirements. School buses are still the safest way to transport children. Every school day, they transport about 25 million American children to and from school. However, buses are a source of air pollution, and diesel exhaust from these buses can affect human health. In recent years, advances in vehicle and engine technology have reduced emissions from buses. However, in Texas, 40 percent of school buses are more than ten years old and these vehicles produce higher levels of emissions. Through the Clean School Bus Program, the TCEQ awards grants that help reduce diesel emissions by retrofitting older school buses. The Clean School Bus Program is accepting applications until Nov. 1, but applications will be considered on a first-come, first-served basis. turning off buses while waiting for students during field trips. Preparing for planting season? Consider using native and well-adapted plants, which offer many environmental and monetary benefits—if they are maintained and used properly in a landscape. Often, native plants are less susceptible to pests and diseases and are unlikely to escape and become invasive. This means they require little or no fertilizer, pesticide, and maintenance. Native plants are also more tolerant of stressful environmental conditions, such as drought. These plants often use less water and their deep root systems will increase the soil’s capacity to store water and reduce runoff. Some native plants may even attract birds and butterflies to your yard! Texas is a large state. Diverse temperatures, topography, soil, and rainfall make every area of the state unique. 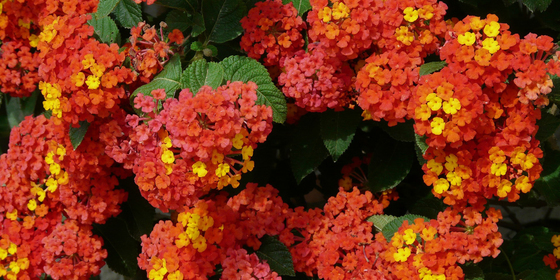 Be sure to select plants that are well-adapted to the environmental conditions in your specific area. Check out the Earth-Kind Plant Selector or the Lady Bird Johnson Wildflower Center’s Native Plant Database to find plants that are well-suited for your region. Be sure to care for your native plants properly. They can use just as much water, fertilizer, and pesticide as non-natives if they are not managed in a sustainable manner. Learn more about caring for natives. Sept. 24, is the coast wide fall cleanup! 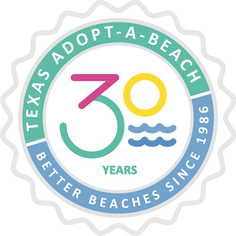 Adopt-A-Beach started in 1986 in order to clean up our beaches and to raise awareness about litter. Since then, nearly 500,000 volunteers have helped keep our beaches clean! A clean coast is important for our environment and our economy. Find out about volunteering by visiting the Texas General Land Office website. 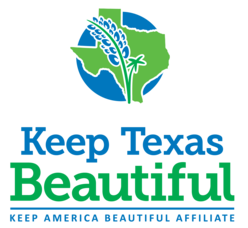 Keep Texas Beautiful, in partnership with the Texas Department of Transportation, awards Governor’s Community Achievement Awards to ten Texas communities each year. TxDOT distributes $2 million in funding among the ten winners to be used for beautification projects. Any community in Texas can win! Applications open this month.